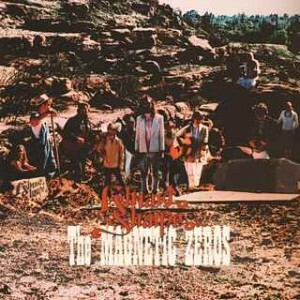 I really didn’t want to like Edward Sharpe & The Magnetic Zeros. They seemed like a big group of silly annoying hippies if you judge them on their looks (and don’t lie, we all do it). I didn’t even recognize Alex, the lead singer, who used to be in Ima Robot and used to look like this (guy to the left). Now, in Edward Sharpe, he looks like this. I figured he had turned into some insufferable crunchy hippie. It actually sounds like he might have been insufferable before and now he’s much happier, so maybe it was a good thing that he changed. The album is like a mix between Arcade Fire and Ennio Morricone-Sergio Leone western soundtracks (the album cover is apt and Sergio gets a shoutout in one of the songs), plus a big helping of hippie. In a good way. It’s quite positive in tone, begs you to sing along, and every song sounds different. The standout to me is Home, the fifties-style duet between Alex and Jade. It’s so endearing because you can hear the smiles on their faces as they sing and you can feel the chemistry between them. Their live show is powerful too – at Coachella their set reminded me of Arcade Fire’s rousing performances of years past. So far, they have lived up to the indie hype. I am really surprised this is getting radio play. What does that mean for my indie music cred?